I was always a fan of the arcade game Frogger, where you controlled a tiny pixelated frog as he journeyed over a rushing river or tried to hop through rush hour traffic without getting squashed. 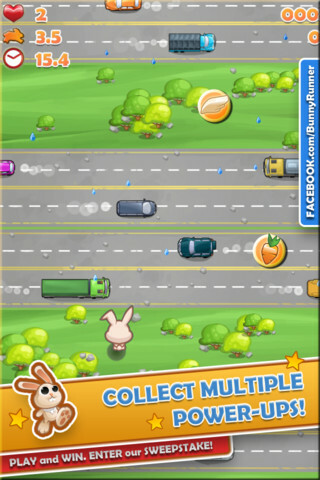 These days, you can get all the fun of Frogger without having to subject yourself to sticky arcade controls. 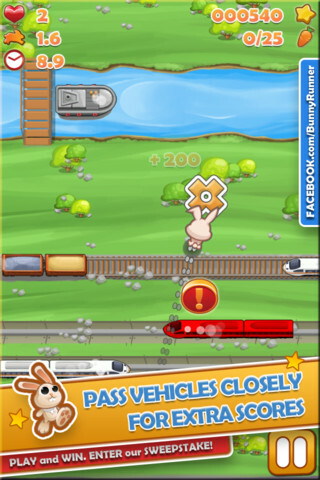 It’s the subject of today’s review:Bunny Run, developed by JRSoftWorx. 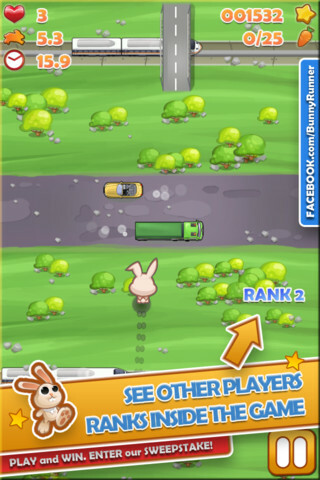 Instead of a frog, you play as an adorable bunny who has to avoid being crushed by oncoming traffic. But unlike my memories of Frogger, where the frog moved around the screen in short, somewhat frustrating hops, this bunny runs smoothly and quickly. 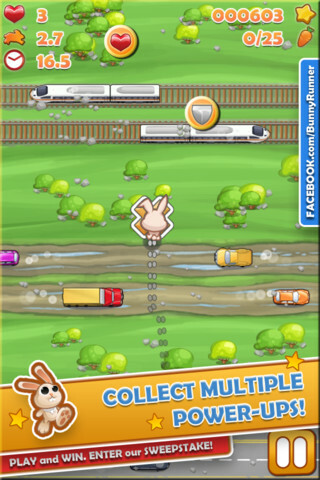 The areas you need to navigate in Bunny Run include bustling railroads, intense highways, and rushing rivers, each of which presents its own unique set of challenges. 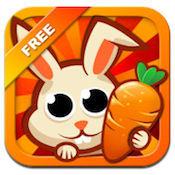 Each area has rich yet cutesy graphics, making the environments lots of fun to jump around in. 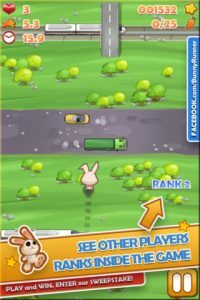 But Runny Run isn’t just a Frogger knock-off: the game’s unique scoring system elevates the game into a league of its own. 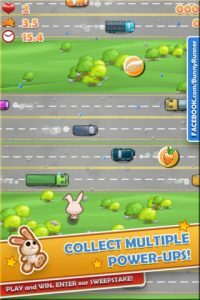 In Frogger, a close call with a careening car is exhilarating enough, a close call in Bunny Run with a car can actually net you some bonus points. By encouraging you to take risks for maximum points, Bunny Run is cleverly drawing you in to the gameplay, making it more addictive than Frogger. 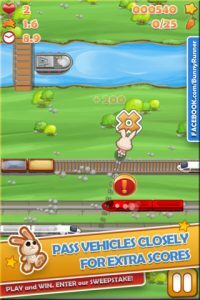 While the on-screen bunny does run quickly and smoothly, the controls are still a bit tricky, and I often found myself in a position where using my fingertip to navigate the bunny’s trail could also block my view of the screen.